After Google bowed out of the Chinese search market in 2010, it left a ripe opportunity for another company to take the second place spot behind Baidu. Qihoo 360’s newly-launched search service has risen to the challenge, according to Sina Tech. Qihoo actually flipped the switch on its search engine last Thursday, but it only began setting the service as the default search on its Hao.360.cn portal early this week. Some users of the company’s web browser are now reporting that the application’s search box has switched over as well. Local websites claim that the changes gave Qihoo enough momentum to push past local rival Sogou and Google to rank second behind Baidu, which has nearly an 80 percent share of domestic search. Google no longer hosts its search engine within China, instead rerouting its Google.cn domain to its Hong Kong operations. Qihoo got its start selling and making anti-virus software. Its web portal and browser reportedly reach hundreds of millions of users, though skeptics have questioned the company’s market share claims. Over the years, Qihoo has clashed with most of China’s Internet giants. I’ve heard from insiders that executives from its competitors will refuse to participate at conferences if Qihoo’s CEO Zhou Hongyi is also scheduled. 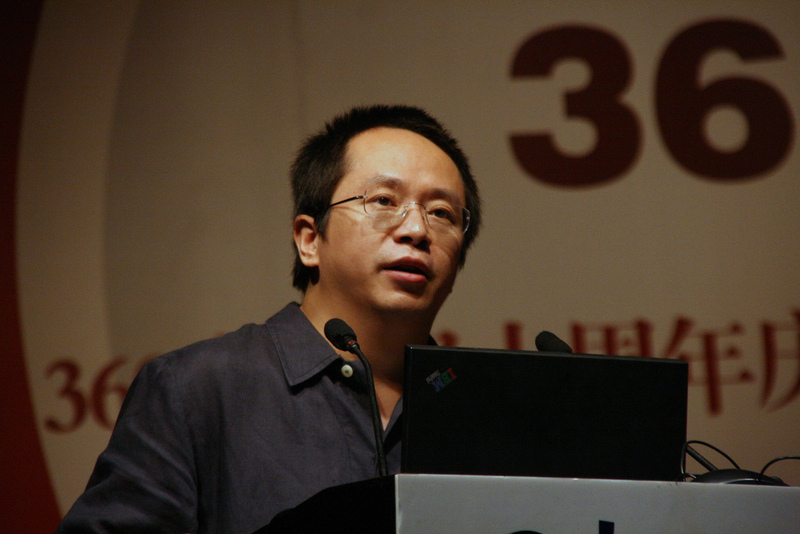 In 2010, Qihoo and Tencent, the maker of the popular QQ IM service, got in a high-profile dispute over their respective anti-virus products. Qihoo accused the QQ software of spying on its users, while Tencent responded by blocking users of the Qihoo 360 anti-virus software from signing on to its service. The situation got so bad that the government eventually stepped in and ordered the two to make amends, which they promptly did. Zhou has also challenged homegrown smartphone maker Xiaomi about its profits, essentially accusing the company of lying about its margins. Qihoo has teamed up with Huawei, Alcaltel and Haier to produce its own low-cost smartphones to compete with Xiaomi. For its part, Xiaomi, which has an extremely loyal fan base, claims it will lose $50 (RMB 350) on every Mi-Two phone it sells when the device goes on sale for $315 (RMB 1,999) in October. The company has also lowered the price of its first-generation phone to $204 (RMB 1,299) and will sell an upgraded version, called the Xiaomi 1S for $235 (RMB 1,499).